What is Wildlife Tracking and Monitoring? Wildlife monitoring is essential for keeping track of animal movement patterns, habitat utilisation, population demographics, snaring and poaching incidents and breakouts. This valuable information, which Wildlife ACT and our conservation volunteers gather on our wildlife volunteer projects, has numerous management applications, including the planning of successful introduction and removal strategies of Africa’s wildlife. Many African game reserves do not have the funds or capacity to run effective wildlife conservation projects despite monitoring being an essential part of conservation. Wildlife ACT assists these game reserves by providing tracking and monitoring services free of charge. Wildlife ACT is unique in that we actively advance conservation by initiating, implementing and managing monitoring projects on reserves which do not have existing monitoring programmes in place; or by taking over existing monitoring projects on reserves that can no longer fund or manage them. Why Volunteers are Needed for Wildlife Monitoring & Tracking? As a conservation volunteer, you play a vital role by assisting Wildlife ACT’s research monitors on our wildlife volunteer projects. You will be the monitor’s direct assistant and aid them with their daily activities. You will experience what it’s like to be one of Africa’s wildlife researchers. 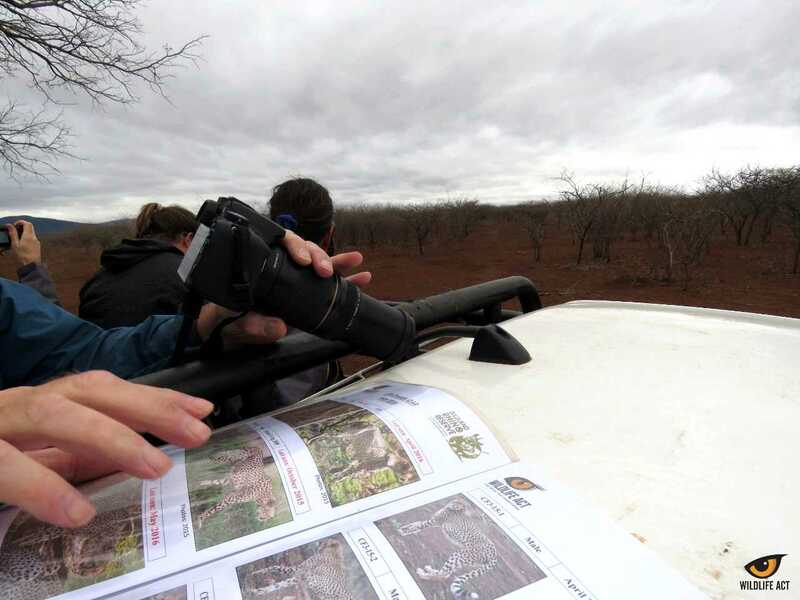 This will give you the opportunity to learn not only about these focal endangered species but also about many other aspects of the African bush-veld; and gain exclusive hands-on experience. Daily activities on our wildlife volunteer projects include tracking and monitoring of endangered wildlife, which include the African wild dog, cheetah, black rhino and vulture. Monitoring of elephant, buffalo, lion, hyena, leopard and white rhino will also take place on a more ad hoc basis. To effectively conserve endangered species, we also need to understand how they are impacted by priority species with high ecological impacts. These priority species include elephant, hyena, lion, leopard, white rhino and buffalo. On some of the reserves we work on, these animals are actively monitored, meaning we track them on a regular basis via our telemetry equipment, or by traditional tracking techniques. We also use camera traps on some reserves. Those animals not tracked on a daily bases are monitored incidentally, meaning we record them only if we chance upon them. Using radio telemetry or identifying tracks, you’ll begin locating an animal. Once you’ve found the animal, various important data is recorded, such as the GPS location, group composition, associations and behaviour. The next step is to photograph the animal. These photographic recordings are used in the development of an accurate identikit for identifying specific individuals. These activities are most often conducted from a 4×4 vehicle – driven by the Wildlife ACT monitor and take place during early mornings and late evenings – with a midday break taken in between monitoring sessions. An essential task for our monitoring teams is keeping Identikits up to date. These allow us to identify individual animals via information and quality photographs that profile the animal for accurate identification in the field. So being equipped and at the ready to take quality photos of endangered & priority species from all angles is very much a part of the job! Your ‘break’ is usually filled-up carrying out your camp maintenance and cleaning and cooking responsibilities. As a conservation volunteer, it is part of your responsibility to help run our camps in order to keep them well-maintained and clean. As such, you will be assigned certain responsibilities that will assist the monitor in running each camp. Please note: Our wildlife volunteer projects means working in very dynamic environments, meaning our movements and activities are regulated by the animals we work with as well as reserve management activities and weather conditions, which we do not have control over! This makes the work both unpredictable but exciting. Anyone can Join as a Wildlife Conservation Volunteer! If you’d like to join Wildlife ACT as a conservation volunteer you don’t need any special skills or qualifications as all the training will be conducted by our qualified wildlife monitors. All you need is the right attitude and a willingness to help and learn. We’re looking for conservation volunteers to join our wildlife volunteer projects who want to experience what’s it’s like to be an true conservationist in Africa and contribute to the exciting and important wildlife conservation work we do.